Quick indulgence? Mouth watering? And get this, enjoying a mini lava cake in under 15 seconds?? How can store bought frozen cakes achieve that? Believe it when I say that you CAN sink your teeth into that sinful chocolate lava cake in THAT short time. Thanks to Mariette who created the first microwaveable mini lava cake. All you have to do is to remove the plastic wrapper and paper mould from the cake, flip it over onto a microwave safe dish, heat it in the microwave on high power for 15 seconds and you have it! As easy as One-Two-Three, literally. For the assortment of tea cakes simply thaw them and serve chilled like it is or with ice cream, additional frutis/nuts. 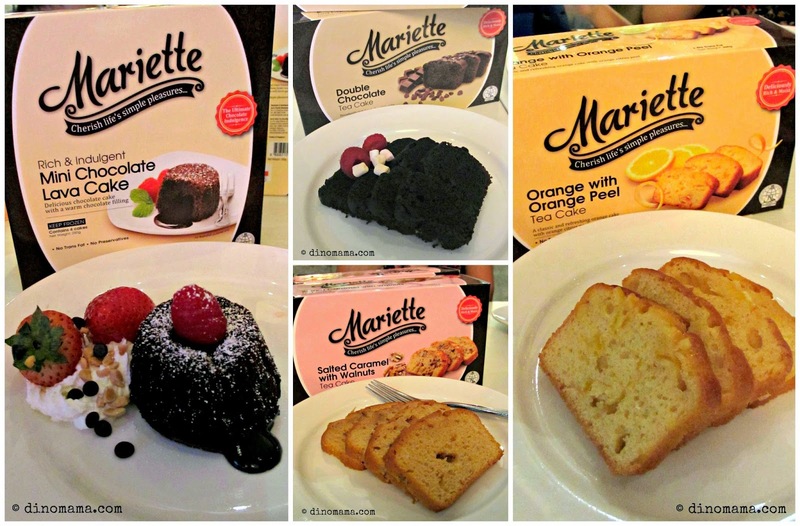 After tasting Mariette mini lava cake and tea cakes I was blown away! These are really really mouth-watering, delicious, to-die-for cakes. Being microwavable and convenient to prepare, it did not take away the delectable rich flavour and velvety texture of the mini lava cake. The other assortment of tea cakes are just as heavenly as the lava cake. Mini Chocolate Lava Cake - Delicious chocolate cake with a warm chocolate filing that is the ultimate chocolate indulgence. Double Chocolate Tea Cake - A decadently indulgent and luxurious chocolate cake packed with lots of dark chocolate chip goodness. Salted Caramel with Walnuts Tea Cake - Indulgent and heavenly salted caramel cake with crunchy walnuts that promises to pamper every palate. Orange with Orange Peel Tea Cake - A classic orange cake that is tender and full off refreshing flavour with a tangy twist of orange citrus peel. 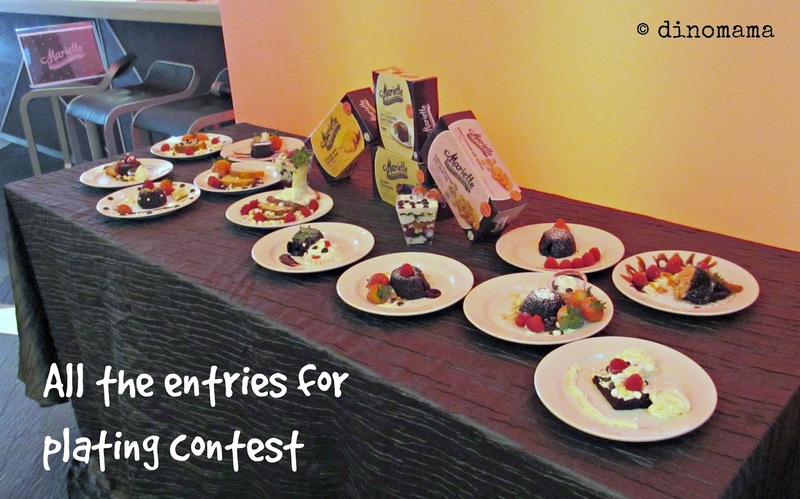 It's not just a simple "Eat & be Merry" high tea event, they even have a Plating Contest where the winner goes home with an extra Mariette goodie bag! They prepared condiments such as fruits, marshmallow, chocolate chips, nuts & whipping cream to let us unleash our creativity. Well, look who's having superb fun decorating his slices of cakes? He couldn't bear to part with his creation so he ate them up instead of entering them into the contest. 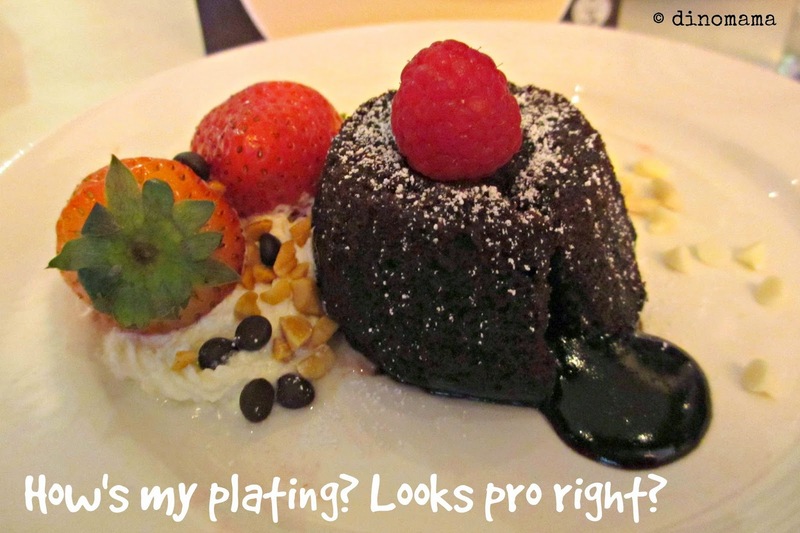 My lava cake entry did not win but that's ok, I had fun creating my beautiful plated cake. 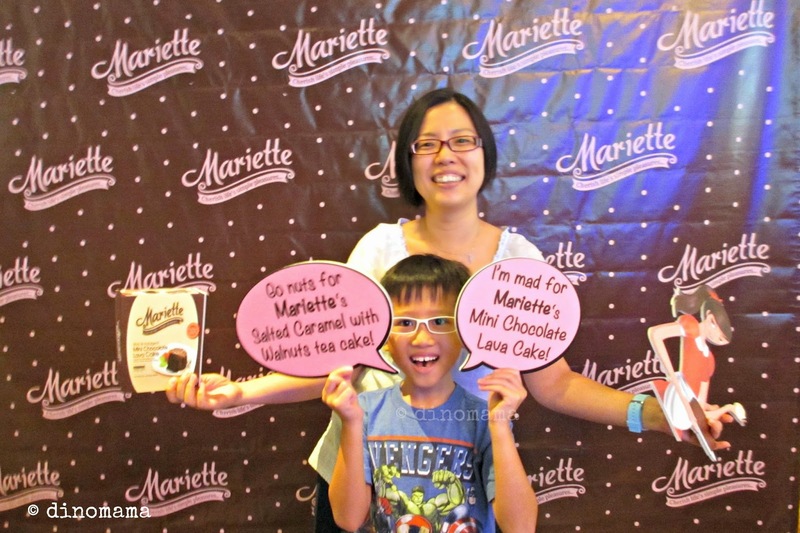 There was even a photobooth to let us show our love for Mariette Tea Cakes. Every one just went crazy and took so many photos with the props. Now I'm sure you are eager to know where you can get your hands onto these cakes. Hold your horses, I'm going to let you know in a minute. These trans-fat free, Halal certified lava cake and tea cakes are retailing at only $7.90 each, available at selected FairPrice stores, Cold Storage and Giant supermarkets. Hurry out to your nearest supermarkets and get yours NOW so that you can enjoy such treats in the comfort of your home or in the office while taking a break from the work stress. Note : Remember I wrote on our facebook page that we attended a great media invite where the organisor had allowed DinoBoy to attend despite it being a non kids friendly event? Well, this is the one, I am really grateful to CROWD & Auric Pacific for accommodating us and 2 thumbs up for a well organized event. WAIT! There is MORE, the nice people at Auric Pacific have generously sponsored their Mariette cakes for the DinoFamily to host a giveaway. - Participants MUST comply to ALL the criteria as stated in the Rafflecopter, failure to do so means immediate disqualification. - Winners will be contacted via email and they will have 24 hours to respond to the email otherwise a new winner will be picked. - Winners will have to collect the prize at CROWD office located at Ubi Road, Monday to Friday between 10am to 6pm. The DinoFamily will be relieved off any responsibilities from this giveaway after we give the winners' details to sponsor. Disclaimer : The DinoFamily are in no way affiliated to the management of Auric Pacific. 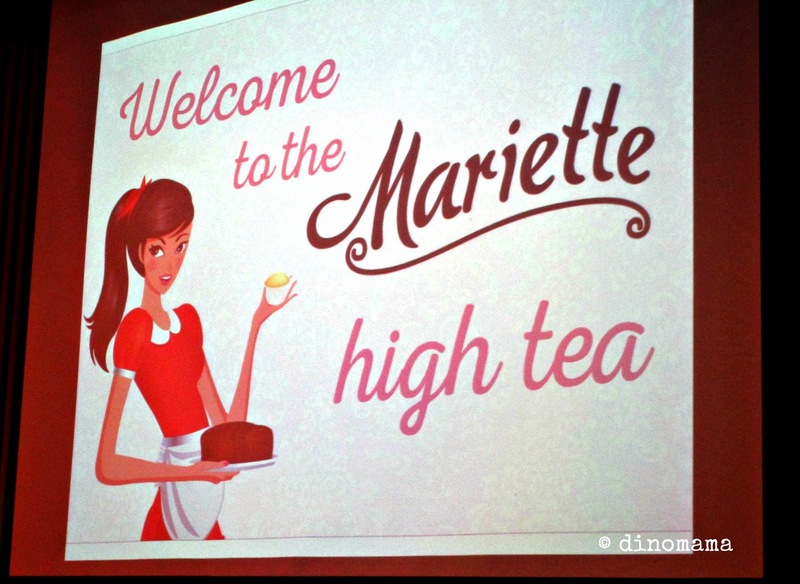 We were invited to attend Mariette High Tea party to taste their newly launched lava cake and tea cakes. 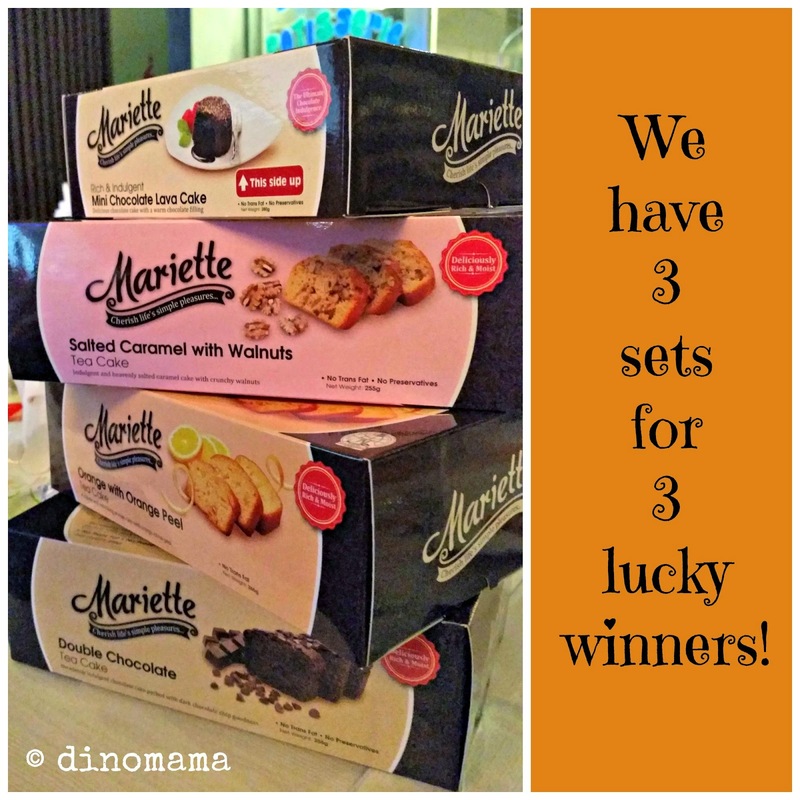 We also received a goodie bag with Mariette products for attending the party, no other compensation were received. All opinions are 100% are our's and based on our food tasting experience during the party. This is part of a series of giveaway frenzy going on for the months of November & December 2014. This giveaway frenzy is in no way sponsored, endorsed or administered by, or associated with, Facebook. Little sweet indulgences are best shared with loved ones. Little sweet indulgences are best share with your loved ones! Hi Jasz, I forgot to state to leave email address earlier, could you please do so now? Thanks! Little sweet indulgences are best share with my 3kids!!! Hi Celyncloset, I forgot to state to leave email address earlier, could you please do so now? Thanks! Little sweet indulgences are best share with my lovely family. Hi Megan, I forgot to state to leave email address earlier, could you please do so now? Thanks! Share with friends and family, of course!! Little sweet indulgences are best shared with my sweethearts! Little sweet indulgences are best shared with friends & family! Little sweet indulgences are best shared with loves one. Little sweet indulgences are best share with my 3 little ones. It will taste best when eaten with love ones. Little sweet indulgences are best share with the loved ones at any occasion. Little Sweet Indulgences are best shared with loved family members or close friends! 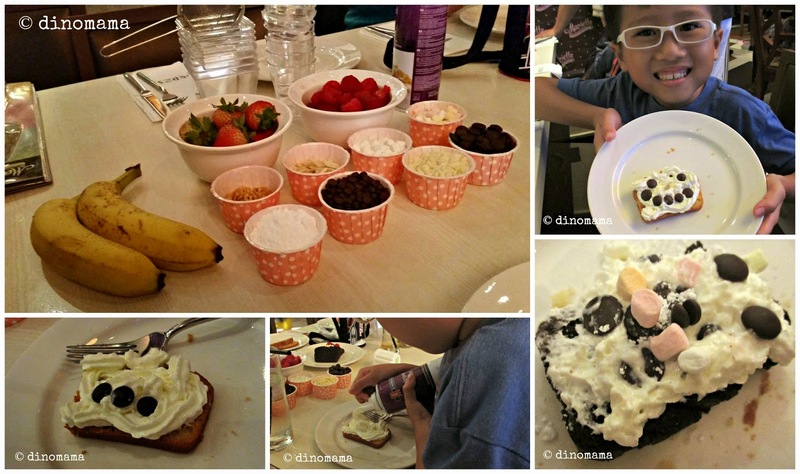 Little sweet indulgences are best share with my kids! Sweet Temptations. I would love to have those tea cakes! Yummy!!!! Little sweet indulgences are best shared with loved ones, especially my two little kids. Little sweet indulgences are best share with love ones. It's a blessing. Thank you for hosting the giveaway. Little sweet indulgences are best shared with my wonderful family! Little sweet indulgences are best share with loved ones. Little sweet indulgences are best shared with the kids ! Little sweet indulgences are best share with Shannon & Isaac, & of course their beautiful Mummy! Little sweet indulgences are best share with my sweet angel and my sweet hubby. Little sweet indulgences are best share with family member. Little sweet indulgences are best share with my family who are my pillar of support. Little sweet indulgences are best share with EVERYONE I love! Little sweet indulgences are best shared with my dad, mum and brother. Little Sweet Indulgences are the best to shared with all my dears ones & friends! Little sweet indulgences are best shared with my love ones, especially my 2.5 years old gal! Little sweet indulgences are best share with my family! Little sweet indulgences are best shared with my sweet little ones. Little sweet indulgences are best shared with my beloved ones. Little sweet indulgences are best shared with my 3 babies. Hubby and my 2 lovely son..
Little sweet indulgences are best share with our loved ones!! Little sweet indulgences are best shared with everyone who loves indulgences !! Little sweet indulgences are best shared with my loved ones! Little sweet indulgences are best share with my cheeky boys. Little sweet indulgences are best shared with my loved ones and family! Little sweet indulgences are best shared with family and friends. Little sweet indulgences are best shared with my family!